Find the latest 2010 BMW 1 Series recalls as issued by the National Highway Traffic Safety Administration (NHTSA) and Manufacturers. Consequence If the bolts loosen or break the engine may have reduced power or stall. An engine stall increases the risk of a crash. Consequence If there is a loss of electrical power to the vehicle, the vehicle may unexpectedly stall, increasing the risk of a crash. Consequence THE INSULATION AROUND THE PRE-TENSIONER COULD IGNITE. Consequence This condition could cause the fan motor to become inoperative, or cause the motor circuit board in the assembly to overheat, potentially leading to a fire in the engine compartment. Remedy BMW will notify owners, and dealers will replace the four VANOS housing bolts for both VANOS units (intake and exhaust), free of charge. The recall is expected to begin in May 2014. In addition, owners of approximately 170,172 model year 2010-2012 BMW vehicles equipped with inline 6 cylinder engines not covered by this recall, will receive an extended warranty to address this condition. Owners may contact BMW at 1-800-525-7417. Remedy BMW will notify owners, and dealers will replace the positive battery cable connector and secure it with an improved method, free of charge. The recall began on March 13, 2013. Owners may call BMW at 1-800-525-7417 or email BMW at CustomerRelations@bmwusa.com. Remedy Valeo will notify owners and replace the fans free of charge. The safety recall is expected to begin during August 2012. This recall is being conducted by Valeo, not by BMW. For further information, owners may contact Valeo at 1-888-718-2536. Remedy VEHICLES PRODUCED UP THROUGH DECEMBER 2009 WILL RECEIVE NEW FRONT SAFETY BELT RETRACTOR UNITS AND A MODIFICATION TO THE SOUND INSULATION NEAR THE UNITS, WHILE VEHICLES PRODUCED BETWEEN JANUARY 2010 AND MAY 2010 WILL RECEIVE A MODIFICATION TO THE SOUND INSULATION NEAR THE UNITS. THIS SERVICE WILL BE PERFORMED FREE OF CHARGE. THE SAFETY RECALL IS EXPECTED TO BEGIN DURING AUGUST 2010. OWNERS MAY CONTACT BMW AT 1-800-525-7417. 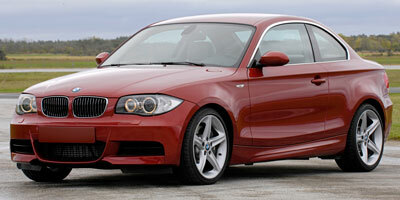 Summary BMW IS RECALLING CERTAIN MODEL YEAR 2008-2011 1-SERIES VEHICLES. IN A CRASH OF SUFFICIENT SEVERITY, DEPLOYMENT OF THE FRONT PRE-TENSIONER AND LOAD-LIMITER OCCURS. Summary BMW is recalling certain model year 2008-2012 1-Series coupes and convertibles manufactured December 2007 through July 2011; and 2007-2011 3-Series coupes and convertibles manufactured March 2007 through July 2011; 2007-2011 3-Series sedans manufactured March 2007 through October 2011; 2007-2011 3-Series sports wagons manufactured March 2007 through June 2011; and 2009-2011 Z4 vehicles manufactured March 2009 through June 2011. The connector for the positive battery cable connector and the corresponding terminal on the fuse box may degrade over time. Over time, the high current flow and heat from electrical resistance may lead to a breakage of the connection, and a loss of electrical power to the vehicle. Summary BMW of North America, LLC (BMW) is recalling certain model year 2010-2011 128i Coupe, 128i Convertible, 328i Sedan, 328i xDrive Sedan, 328i Coupe, 328i Convertible, 328i Sports Wagon and Z4 sDrive 30i, 2011-2012 135i Coupe, 135i Convertible, 335i Sedan, X5 xDrive 35i, and X6 xDrive 35i, 2011 335i xDrive Sedan, 335i Coupe, 335i Convertible, 528i Sedan, 535i Sedan, 535i xDrive Sedan, X3 xDrive 28i, and X3 xDrive 35i, 2010 X3 xDrive 30i, and X5 xDrive 30i, 2012 640i Coupe, and 640i Convertible and 2010-2012 535i Gran Turismo vehicles. In the affected vehicles, the bolts that secure the housing for the variable camshaft timing adjustment (VANOS) unit can loosen over time and may possibly break. Summary Valeo is recalling certain engine cooling fans, part numbers 696121, 696273, and 696275, used as service replacement parts for model year 2008-2011 BMW 1-Series, 2006-2011 BMW 3-Series, 2000-2009 BMW 5-Series, 2004-2005 BMW 6-Series, and 2006-2007 BMW 7-Series vehicles. A metal-oxide semiconductor may overheat due to insufficient screwing of the semiconductor on the aluminum heat sink. This primary failure could cause adjacent components on the fan assembly motor circuit board to overheat and short.